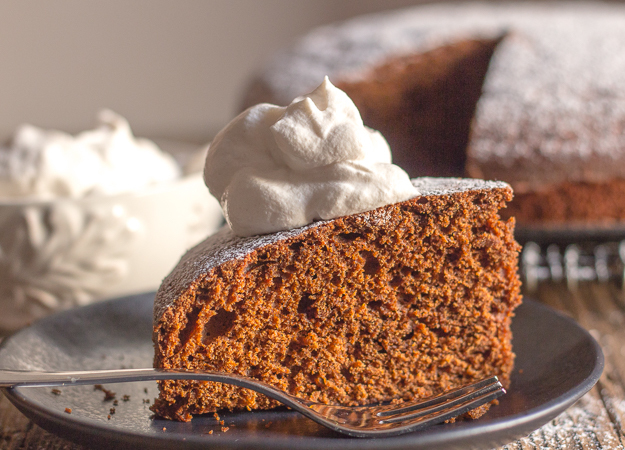 Old Fashioned Gingerbread Cake a moist and delicious cake. 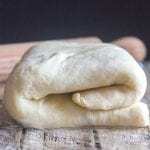 Perfect served simple or with a dollop of Cinnamon Whipped Cream. The perfect Holiday Dessert. This is a simple and easy cake that has become a Holiday tradition in our house. The first time I made gingerbread cookies I wasn’t sure my family and friends would appreciate them as much as I did. I thought the strong taste would not grab them they way it did me. But was I wrong! Especially with my youngest daughter, who declared them her absolute favourite cookie ever! So the next year when I made them again I was sure it was just a fluke and she would decide they weren’t to her liking after all. Nope I was wrong, “yay my favourite cookies”. Who would have guessed? So this year I decided a change was needed and I would make my Mom’s Gingerbread Cake recipe. And I have to admit this cake is amazing. More Holiday Cakes to Enjoy. 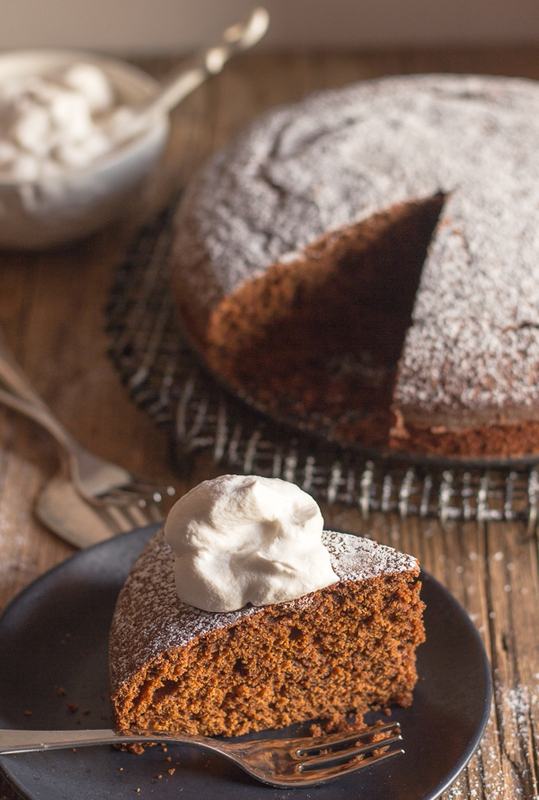 This cake tastes exactly like a gingerbread cookie. Not overly strong on taste, actually I would say perfect. 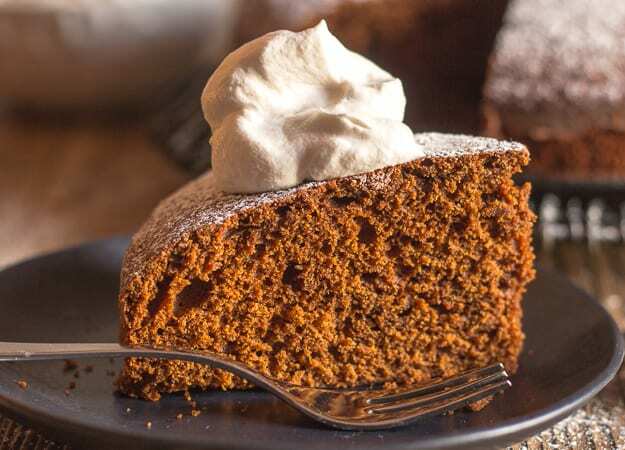 It is the best Gingerbread Cake I have ever tried. And yes my youngest loved it. And what’s even better is that it is so easy to make. No heavy frostings needed. Just a spoonful of Cinnamon Whipped Cream and dessert is served. 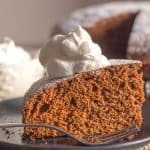 So if you are looking for the perfect Cake for this Holiday Season I think you will be pleasantly surprised by this Old Fashioned Gingerbread Cake. Enjoy! 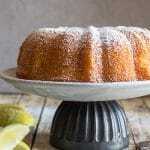 Old Fashioned Gingerbread Cake a simple, moist & easy Christmas Cake Recipe. Served with a spoonful of whipped cream makes it perfect. Pre-heat oven to 350°. Grease and flour a 9 inch cake pan. In a medium bowl cream butter, then gradually add the brown sugar and the molasses and beat to combine, then add the hot water and combine. In another medium bowl whisk together the flour, baking powder, baking soda, salt, cinnamon and ginger (if using). Add the flour mixture in 3 parts to the creamed mixture beating after each addition. Then add the beaten eggs. Beat to combine. 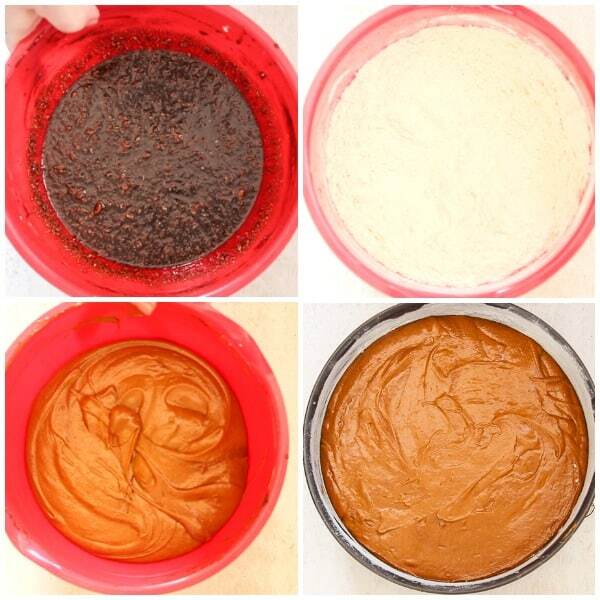 Pour into prepared cake pan and bake for approximately 30-40 minutes or until toothpick comes out clean. Let cool completely before serving. 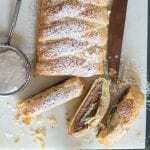 Serve with a spoonful of Cinnamon whipped cream. Enjoy! In a medium bowl add cream, cinnamon and sugar, beat until stiff. Hi Carolyn, I usually prefer to make one and cut it but either way would work? You should probably check the baking time (less) if you make 2 pans. Hope that helps. This looks so lovely. I’m not a baker but I’m going to try this. Hi Francene thank you don’t worry it is really easy and so good. Let me know how it comes out. Thanks Neta, hope you enjoy it. Have a great weekend. 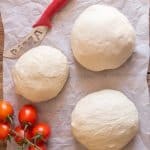 I love how you made these recipes sound so easy. I’m definitely going to give this one a try, looks great! Thanks Sean, I hope you enjoy it. Thank you Rosemary ! 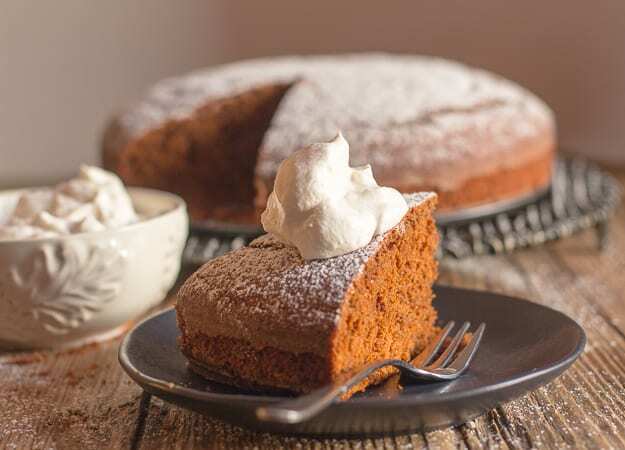 This cake made of so very much Christmas ingredients served with whipped cream sound just ideal ! Will do for change to surprise my family. Thank you so much !